Nick Saban didn't use those exact words, but he made it clear. He would rather coach up his players, no matter how young, than dumb down his game plan. The Alabama coach ex­plained that philosophy in response to my question on the subject Monday. "I have confidence in the players," he said. "I have confidence in the players' ability to learn. I think a lot of coaches sometimes say they're making it simple. I never wanted to be a guy that was making it simple but then not put the play­ers in the best chance to be successful because you're being so simple, they really didn't have a chance. "We probably always erred on the other side. When you do that, you actually develop a greater capacity for them in terms of the resource of information that they can handle, that they understand and they can adapt to in the game when things don't happen exactly like you thought they might." After the Penn State game, Saban emphasized the need for a defense "to survive the script," the opening series or two of play calls that opposing offensive coaches put together. 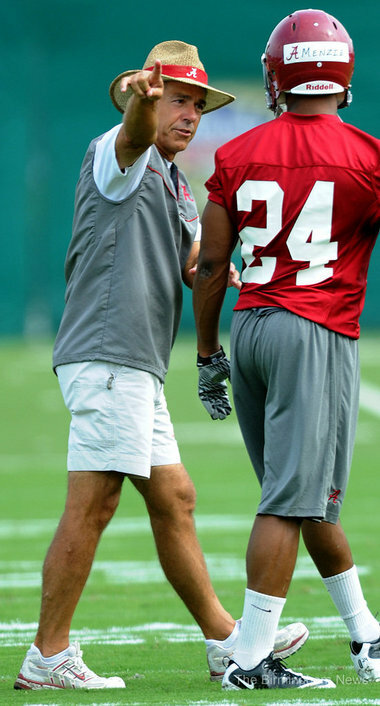 He said Monday that, in the last year or two, as other teams have tried to outsmart Alabama, the opening scripts the Crimson Tide has faced often have looked nothing like what Saban and defensive coordinator Kirby Smart expected them to look like. For the most part, the Alabama players have been able to adapt because the Alabama coaches had educated them instead of babying them. 8. How badly do they want to succeed? a) Why do you want to play for the Rams/Redskins? b) If there were a mosquito on my desk, how would you capture it? As official practice looms for us all, we will run a series of posts on ideas that might have a positive effect on your workouts. Each year at LSU, we took some time to look at our team and what we felt was needed to do to be successful. Our program had a system of play and we rarely deviated from that system. However, we did add wrinkles each year based upon the make-up of our team and the schedule we play. One of the best organizational tools we developed was the Master Practice Plan. We printed it on card stock, front and back. 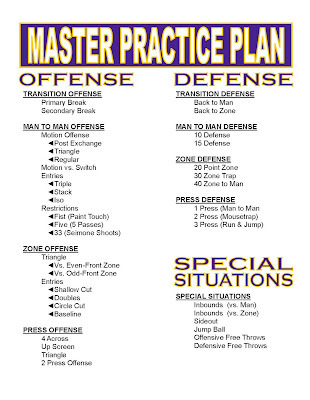 On the front side is our master list of everything we want to put in with our team. I got this from Stu Aberdeen when he was at Marshall. It is very detailed in all facets of the game. Under offense, we include our man-to-man offense, our zone attack, transition, and press offense. On the defensive side, we have transition defense, man-to-man defense, zone defense and our pressing system. A third category covers all of our special situations. 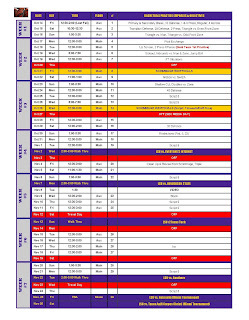 This is a simple yet effect tool to help you stay organized and on track for the first several weeks of practice. A GREAT WAY TO SAY "THANKS COACH SUMMITT"
When I first came to LSU to work for Dale Brown he had just had a special dinner honoring John Wooden and Adolph Rupp. I remember asking Coach Brown why he felt compelled to honor Coach Rupp who had coached at our rival school Kentucky. He explained how Kentucky had an amazing effect on the growth of basketball at LSU and especially the SEC. Because of the tremendous success of the Wildcats, many SEC schools were finally forced to come up with the money and resources to grow their programs. The same can be said about Coach Pat Summitt. SEC women's basketball is great because of what Coach Summitt and the University of Tennessee accomplished throughout the decades. They have represented a program of excellence on the court and in the classroom and did it all the right way. And it's not just SEC teams in regard to the "Coach Summitt Effect." In fact, it is near impossibly to imagine where women's basketball would be right now if not for the Lady Vols. 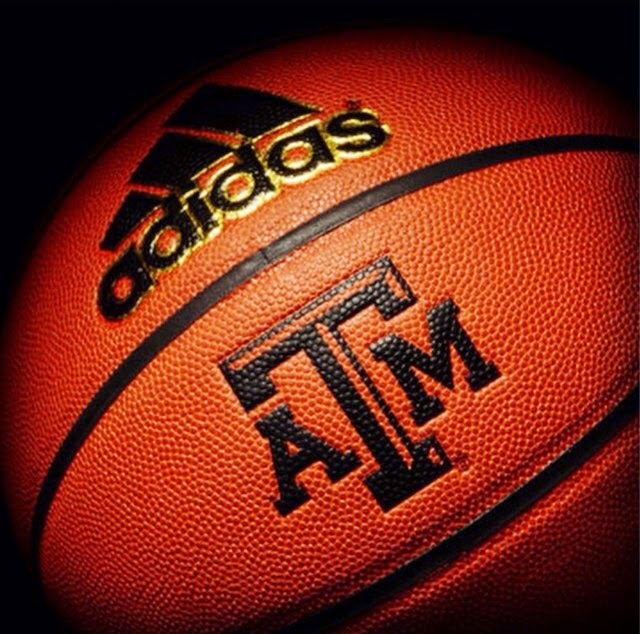 The success of the NCAA tournament and the Final Four? Television coverage? Media attention? Thank you Coach Summitt! How about attendance? Is there a school that has played Tennessee in the past 20 years in their arena where the game wasn't the largest draw for their school that year? Here would be a great stat to look up. How many teams can open up their media guide to the page with the largest home crowd in school history and see that it was against the Lady Vols when they came to town. Coach Summitt is by far the largest reason for the growth of women's basketball -- on all levels -- over the past 30 years. And now it's time to say thank you Coach Summitt! 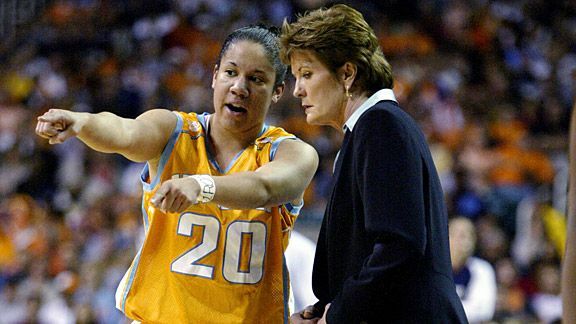 Please take the time to read about Kara Lawson, her relationship with Coach Summitt and how she is running a race to raise funds to fight Alzheimer's in honor of her coach. Then please take the time to click on this link http://www.alznyc.org/karalawson/ and make a donation. Forward this to EVERYONE you know and ask for their support. It would be an amazing way to help Kara pay tribute to her coach, show Coach Summitt how much we appreciate her, and help fight this terrible disease. To follow is a thought-provoking post from Kevin Eikenberry and his wonderful site "Leadership and Learning with Kevin Eikenberry." It is a post that I certainly think can help people of all walks of life but I obviously soak thing in through a coach's eye. Too often as coaches we find our days going at mach speed -- too fast at times to show appreciation to all those that help us in so many ways. This post gives us not only thought to why it is important but how to be better in this area. William James has been called “the father of American Psychology.” He was a trained physician and wrote voluminously. (Interestingly enough Ralph Waldo Emerson was his Godfather). He is most known for his self-trained work in psychology and philosophy. He is widely quoted 100 years after his death, and nothing he wrote is any more quoted that the powerful quotation that follows. Do I agree with James? If appreciation isn’t the deepest craving, what is? How can I show my appreciation for others more? Show your appreciation for others more often. Find at least five ways to do this everyday. Don’t sleep tonight until you have done this in five small or large ways. Do it again tomorrow (and the next day) until it is your habit. I believe James’ premise. And I believe that this truth, acted on, can make a difference in your success as a leader and your success in life. Consider this – as a leader we are in the business of influencing others to make choices and take actions that benefit both them and the organization, right? In which case will we be a more successful influencer, when we are helping people get their needs met, or if we ignore their needs? Pragmatism proves that former to be the case. When you look for things to appreciate, you will find them. (So start looking). When you think about ways to show that appreciation, they will come to you. But let me give you a very limited list to help jumpstart your thinking . . . This very abbreviated list raises two important points – showing appreciation can come in formal and informal ways, and can come from words and actions. If you are looking for ways to help you and others build habit of showing people appreciation and feeding this deep craving, you can check out our products at YouAreRemarkable.com. Coach Jim Boone: I am a firm believer in surrounding yourself with key mentors, leaders who know and care about you, but care about you enough to be honest, even when it hurts. Do you want to be around those who tell you what you want to hear, or those who tell you what you need to hear? I have been blessed through my years of Coaching to be associated with several great mentors, that have not only influenced my life, but they have impacted my life – I would like to briefly share with you, my relationship with three of these key people, that have been extremely supportive, honest, and have helped shape me into the coach and person that I am today. And yes, they have played an important role during my 30 Days to a Championship – not only through their advice in taking this position, but as we have spoken almost daily in building the foundation of our program. I first met Allen Osborne, currently the head boy’s basketball coach at Poca High School, in Poca West Virginia, as my Junior High School Basketball Coach. 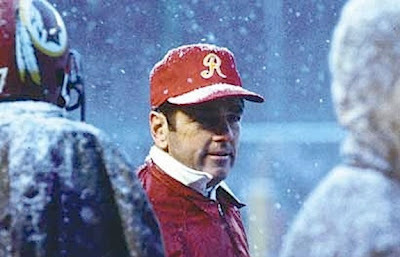 It was his first coaching job out of college, and my first time playing for the school team. I was immediately captivated by his passion for the game, his intensity of teaching, and his authoritative approach to practice. Much of my philosophy of teaching, coaching, and how we play were born through this relationship, back in the eighth grade, at Winfield Junior High School. It was also then, that I knew without a doubt, I wanted to be a basketball coach! And, it wasn’t always about the good days, it was probably the tough days that played the greatest role in shaping me into the person and coach that I am today. I vividly remember Coach Osborne teaching our team a simple continuity offense, yours truly was not concentrating on the lesson, and thus when asked to execute the offense, I failed miserably. When asked to do it again, I again failed. Coach then used a couple of key teaching points to emphasize upon me the absolute importance in concentrating to learn at all times – to stay focused. Needless to say, this was a great lesson, and one that I have demanded from our own players. Coach Gerald Oliver served in a consulting role for us at Tusculum College through my last four years as the Pioneer head coach. His input, his friendship, and his undying loyalty were and continue to be so important to me and our program’s growth. Coach’s wealth of experience, 27 years as a pro coach, 9 in the NBA, along with working for such notable coaches in the college game as Hank Raymonds, Rick Majerus, and Ray Mears, is unparalleled. Coach Oliver is one of the best teachers I have ever been around, his attention to detail and his ability to simplify the game are remarkable. It has been Coach Oliver's advice to utilize the new NCAA rule regarding Team Practice to concentrate on the big picture, and then to put in the parts as our team understands how we want to play and practice. 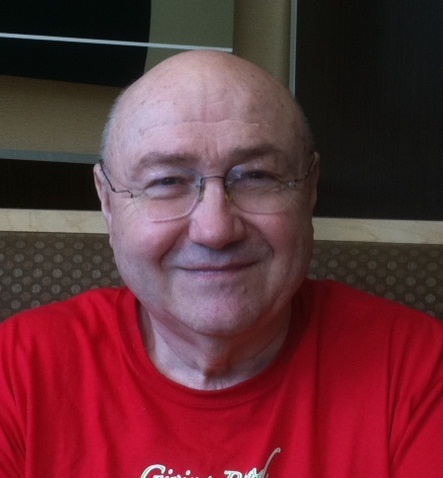 And finally, Bob Starkey – one of my very best friends and confidants in life. I have never made an important decision, whether it be regarding my family, my career, or our program that I have not consulted first with Bob. We both played for Coach Osborne, on that 8th grade team at Winfield JHS, and have become life-long friends. Through the years we have played on teams together, we have coached together (Bob was actually my first ever hire as an associate head coach in the women’s program at West Virginia State University), and we try and meet every year to talk basketball or to visit and study another program together. For example, the time when Bob and I spent a marathon week traveling to visit with three outstanding coaches. We started in Nashville with Coach Don Meyer at Lipscomb, to study how to run a championship program, headed to Evansville, Indiana and spent a day with Jim Crews on defensive drills and the development of his motion offense, and ended our trip in Birmingham, Alabama to talk motion offense with Jimmy Tillette. 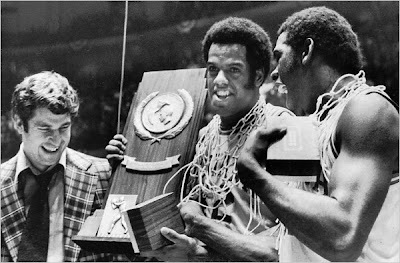 But, there was nothing better than sitting with Bob in his parents’ home, the hallway to be exact, with Coach Osborne’s old 8 millimeter film projector as 9th graders (Bob on one side and I on the other of the projector using the darkness and the wall of the hallway to view the film), watching Coach Knight’s first Motion Offense video, with the click, click, click of the film running through the projector – awesome! Without the impact that all three of these great people have made upon my life, I would simply not be the person I am today. I am so appreciative for all that they have done, and the honesty and support they have always provided. Having mentors is important to all of us, and more important than when you are building your own program as are doing here at West Virginia Wesleyan! We try to get our players to play intelligently. A key to that is getting them to understand not just that something works but why. A coach needs to understand the strengths and weaknesses of every player who plays for him, and make them understand too. Only take shots that have over a 50% chance of going in. 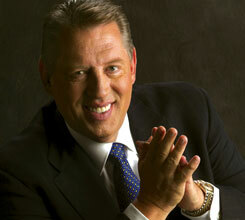 If it is a pressuring man-to-man, we have got to take the ball to the bucket- catch the ball, face, fake, and drive. Do that, do it well and you’ll be on the foul line. Kids will be satisfied with what you tolerate. You are trying to get players to understand that how they play is a hell of a lot more important than whether or not they win. Winning is a by-product of preparation and work at practice. We coaches constantly harp on spacing, how important it is to maintain fifteen to eighteen feet spacing among all the players. I think spacing is one of the two keys to utilization of the court in offensive play. We spent a lot of October practicing four-on-four and five-on-five with out allowing a dribble. There we were truly playing Pass, Cut, and Screen. 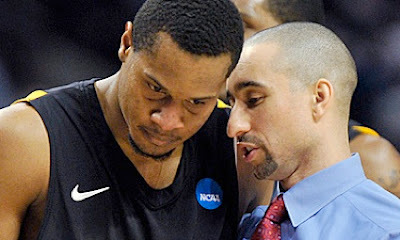 The only obligation you have to your players is that they know you are starting the best lineup you have. We don’t have to have the best talent to win. Reasons why a team loses—sloppy ball-handling, poor defensive effort, lack of blockout, poor shot selection. I’ve never expected anyone, including players, to agree with all that I do. But to the absolute best of my ability, I’ve tried to provide them with a work ethic, and ability to excel at crucial times, and a determination to be as good as they could be at whatever they do. Listening is the most neglected language skill. Those in positions of power are particularly neglectful, because they tend to believe they're responsible to tell, rather than hear. The two responsibilities -- skills -- are not mutually exclusive. Carl Rogers, a preeminent psychologist, wrote, "The biggest block to personal communication is man's inability to listen intelligently, understanding, and skillfully to another person." The coach who really listens provides the athlete with a sense of participation in the team's well-being. Not everything I hear from athletes is true. Some will take the opportunity to be heard as an opportunity to "blow smoke." They are trying to hide more than they're trying to reveal. Still, if I keep someone talking long enough, the smoke often dissipates, revealing what I need to know. Listening doesn't imply loss of control for a coach. It implies a gain of athletes' confidence in your respect for them. A desire to create more effective relationships. It's imperative to help the athlete to be a better listener. When talking to the entire team, the coach should never allow any whispering or asides between athletes, Such behavior is unacceptable. first, it is disrespectful. rude, if you care for the term. Second, valuable information may be missed by those not engaged by the words of the coach. seeing things as they are." Motion Offense Execution: The sooner you learn to read the defense and not worry about where the ball is, the better offensive player you will become. It takes discipline and intelligence to "things as they are" on the floor. Good Individual/Team Defense: This is also the ability to see what is unfolding on the court -- understanding where the ball and your man is at the same time as well as the ability to anticipate screens and cuts. Roles: You could actually change the wording a bit by saying "Intelligence is quickness in see YOURSELF as you really are." This may be one of the most difficult things for players to do. Recruiting: It is important that coach can quickly yet accurately understand the ability of a potential student-athlete but also that's players ability to fit in with your system, your method of teaching and the chemistry of your team. In many cases, you must also "see things as they are" in terms of whether you can successfully recruit that particular player. Game Adjustments: The quicker you can ascertain the success or lack thereof in regard to a game plan, the more effectively you can make the necessary adjustments to help your team succeed. 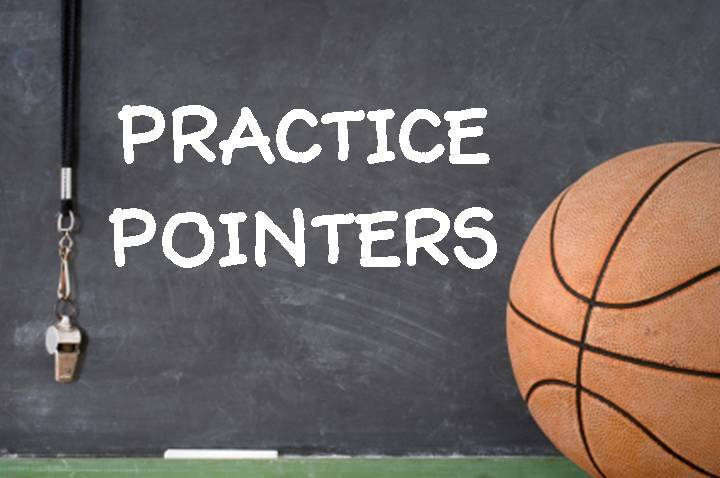 Practice: The best coaches have a great feel for what is needed in practice on a daily basis. They know when to pull back to save legs...they know when to push forward to develop toughness. Relationships: Each person in your "family" is different. They were raised differently -- coached differently. They have various motivating factors. The "quicker" you "see THEM as they are" the better you will be able to communicate and build trust. We've talked about it before but I'm a big believer in giving reading assignments to your team or even players individually. It can be anything from a newspaper article to an entire book. 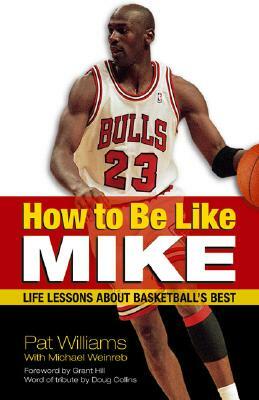 Over the years, one of the better books we've assigned our players to read is "How To Be Like Mike" by Pat Williams. First and foremost, it is extremely well written in terms of the lessons laid out for players to learn from. Secondly, just the fact that it is about Michael Jordan instantly grabs the attention of players. It is also a great book for coaches to read. A variety of topics are discussed in the book including focus, work, toughness, competing, loyalty, and dreaming. The books uses shorts stories — some from Jordan, some from his teammates, some from his coaches and even more from his opponents. The draw for our kids is that Jordan is what most aspire to be...they really do want to be like Mike! So when B.J. Armstrong says, “The thing that makes Michael who he is, is his focus. His ability to concentrate absolutely. 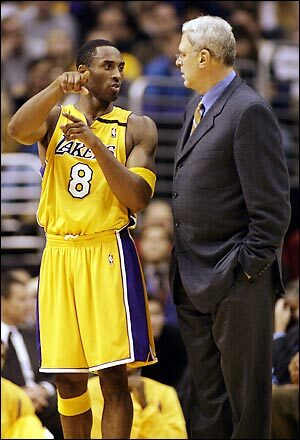 To set everything else aside other than what needs to be done right now”...your players listen. Chapter 8 is titled “The Fist.” Ironically, the “fist” came about from a symbol used by North Carolina’s biggest rival, Mike Krzyzewski of the Duke Blue Devils. 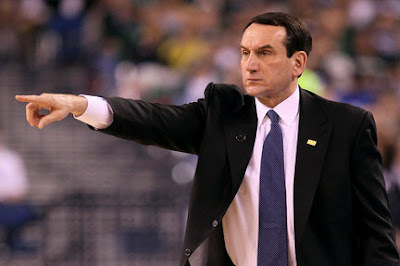 Coach K often uses the fist as a symbol of team work — each finger folded tightly together. Hill talked about how Coach K effectively used ‘the fist” to motivate Duke to National Championships in 1991 and again in 1992. Williams goes a step further to explain how Jordan didn’t fully understand that principle when he first entered the NBA. He used his competitiveness to try and go out and beat his opponent each night by himself. It wasn’t until he involved his teammates that they started winning championships and in effect he became an even greater player. One of the stories shared by Williams was an annual meeting held by Phil Jackson the night before he started training camp. Jackson would bring his team together on the eve of the first practice and close by asking each player to give his individual goals. Another story about the drive of Jordan is detailed in the book by sportswriter Michael Wilbon. Still another insight into his success comes from his ability to gravitate above failure. This book starts fast and finishes fast. Pat Williams, the Senior Vice President of the Orlando Magic has written several motivational books and did a tremendous job in writing “How to Be Like Mike.” The stories and quotations are tremendous to share with your team. It is a great book for coaches to read and a great gift for a player or even a team. All successful people are very productive. They work longer hours and they work better hours. They get a lot more done than the average person. They get paid more and promoted faster. They are highly respected and esteemed by everyone around them. They become leaders and role models. Inevitably, they rise to the top of their fields and to the top of their income ranges, and so can you. Every single one of these tested and proven strategies for managing your time and doubling your productivity is learnable through practice and repetition. Each of these methods will eventually become a habit of both thinking and working. When you begin applying these techniques to your work and to your life, your self-esteem, self-confidence, self-respect and sense of personal pride will go up immediately. The pay off for you will be tremendous, for the rest of your life. Every positive change in your life begins with a clear, unequivocal decision that you are going to either do something or stop doing something. Significant change starts when you decide to either get in or get out, either fish or cut bait. Decisiveness is one of the most important qualities of successful and happy men and women, and decisiveness is developed through practice and repetition, over and over again until it becomes as natural to you as breathing in and breathing out. The sad fact is that people are poor because they have not yet decided to be rich. People are overweight and unfit because they have not yet decided to be thin and fit. People are inefficient time wasters because they haven't yet decided to be highly productive in everything they do. Decide today that you are going to become an expert in time management and personal productivity, no matter how long it takes or how much you invest in it. Resolve today that you are going to practice these principles, over and over again until they become second nature. Coach Jim Boone: As a basketball program that’s philosophy is firmly rooted in our Motion Offense and the Pressure Pack Line Defense, the development of our offensive and defensive fundamentals, coupled with the enhancement of our individual skill level are of paramount importance. We have always taken great pride in the emphasis that we have placed upon skill development, and the improvement that our players always make over their time in our program. Therefore, when at Tusculum College, our primary focus in our Pre-Season work has always been with this objective; the Fundamentals of our System of Play and Individual Skill Development work. Again, our feeling has been, as our individuals improve, then so do we collectively as a team. However, in taking over our program at Wesleyan, with a Team that has played an entirely different style, we have rethought this premise, and have redirected our focus to that of developing the Big Picture, our Team Offense and Defense. We are fortunate that the NCAA changed the Division II rule for this year, allowing us to work with any number of players for a maximum of two hours during the week. I believe that in order for our players to fully benefit from our skill development work that they must first see the Big Picture, to understand how the parts fit in. Thus, we have utilized the time provided by the NCAA to conduct Team Practice, and to introduce our players to the principles and structure of our Motion Offense, as well as, the rules and structure of our Pressure Pack Line Defense. 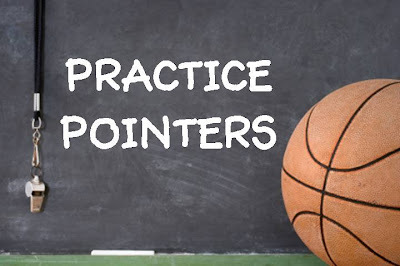 Today we will conduct a Team Practice, emphasizing Spacing and “Holding the Ball for a Two Count” – something that non-motion teams do not do, yet a must for us – “it’s better to be a little late than early offensively”. We will teach screening and cutting, reading the defense, and then apply this in a 3/3 ball-side drill, again emphasizing spacing and exactness of movement in a limited area, and then to 5/5 Offense to Defense. We will also work some conversion offensive breakdown and spend about 5 minutes on our closeout technique early on in this practice. 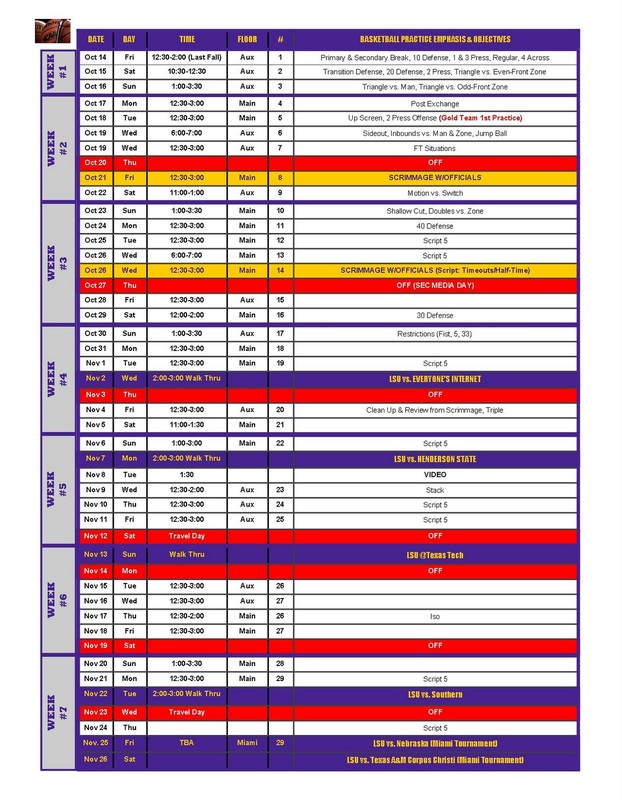 We feel that by following this schedule our players will develop a better understanding of not just how we play, but how the various components of our skill development activities fit into this play. Also, we have used this time to teach our players how we practice, how they must prepare and approach practice, the pace of practice, the discipline and work ethic that we demand in practice, the communication of practice and our play, along with their ability to maintain their utmost concentration throughout practice. Our time on the court is very high intensity, there is no wasted time, an energetic and positive attitude is expected and demanded. This has been different, very different for our players, and not that it’s the right way or the wrong way, it’s simply our way, the Bobcat Way! So, we have used our Team Practices to not only teach our system of play, but how we want our players to go about learning and practicing this system. It has also been an administrative adjustment regarding our practices. This is our class room, our teaching time – I am a teacher first and foremost, and our time on the court is precious. Our Arena is a multi use facility, thus ourselves and our Facility Management personnel have both had to make some adjustments. We have practiced at some odd times to accommodate our colleagues, and Wesleyan has changed their approach to scheduling practices in order to work with us and our desire to create the absolute best teaching and learning environment possible. It’s been awesome, and I commend our administration for their cooperation and support! I am really pleased with the progress our team has made in our first 30 days on the court, we are beginning to screen and cut as a habit versus a coach’s directive, we are gaining an understanding of the critical importance to positioning regarding the success of our defense, we are learning how to communicate, and we are embracing the pace and chaos of practice. And, we are beginning to look like a Bobcat Basketball Team as we progress through practice. Yes, we have sacrificed to some degree in our individual skill development, but we will re-focus our attention to this most important area as we begin official practice on October 15th, providing our players with an opportunity to first understand how these building blocks fit into the big picture, and even more so, understanding how we go about practice at West Virginia Wesleyan. 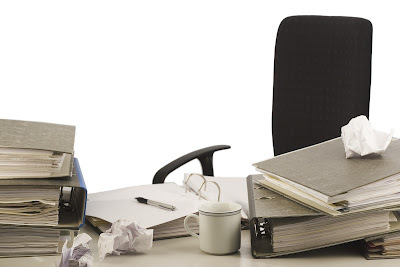 As coaches, we spend a lot of time at our desk -- a lot of time! We're making phone calls, meeting with players, watching video, writing recruiting letter. Here are a few good pointers from the master Brian Tracy on make the time at our desk more efficient. Coach Jim Boone: The tremendous opportunity to represent West Virginia Wesleyan, as a speaker at the West Virginia HS Coaches Association was truly an honor and a privilege. Not only was it a time to share our ideas and basketball philosophy, but it was a time to re-new several great friendships and create new ones. I am truly blessed to be back home in the Mountain State, where I have so many life-long friends, especially in this great profession. In some ways, it was like a class reunion, I guess that’s what 30 years in coaching creates, it was awesome! As well, our recruiting will be an inside-out approach, as we are going to recruit West Virginia High Schools kids first and foremost. The opportunity to share a Saturday afternoon with our state’s best coaches, priceless! To touch on recruiting, like most college coaches, we will only recruit young men who have a desire to earn a degree, are great teammates, and have a positive attitude, along with great character. 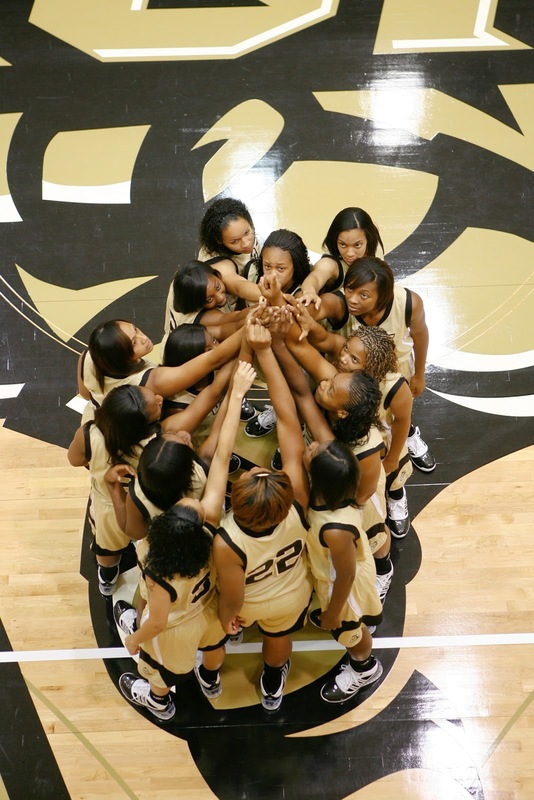 But, we are a little different than a lot of programs, that focus primarily on athleticism and ability. Not that these attributes are not important, they are – but we will delve deeper and look for kids that truly fit who we are and our mission. We search for attributes such as toughness (both physical and mental), competitiveness (We want the “Have Too” guys, not the “Want Too” guys), leadership, a hard work ethic (it’s demanded here and you cannot survive without it), and an a strong passion, an ardent desire to be a great player (yes, a gym rat!). I believe these attributes are also skills, just like athleticism and ability, and they are skills that will be enhanced and illuminated in our program. Again, the opportunity to share a Saturday with 45-50 head high school coaches in our state, our primary focus in recruiting – there is no singular activity that I could do to replace this opportunity to build relationships with this most important group of people to Bobcat Basketball! A brief overview of the Clinic: First, the Clinic organizers, Mick Price of Ravenswood HS and Rick Greene of George Washington HS were phenomenal – a first class, well organized, tremendous event. Furthermore, the facilities and hospitality of Charleston Catholic HS, along with their Coach Bill McClanahan and Athletic Director Bill Gillespie were off the charts! The day’s first speaker was Bryan Poore, who has done an incredible job at West Virginia State University in reviving their great tradition in basketball (not only is WVSU my Alma Mater, but Bryan and I went to HS together at Winfield). Coach Poore spoke on the WVSU Press, which has become one of the most feared defenses in the WVIAC (I took great notes). I followed Mark, and spoke on our Pressure Pack Line Defense. WV Tech supplied their players as demonstrators – they did a great job with my presentation, and throughout the entire day. After lunch, Randy Anderson – another great friend and an outstanding HS coach at Boyd County HS in Kentucky – Randy, was also a tremendous HS player in WV and had a stellar career at Glenville State College. Randy’s presentation was outstanding and he left me with this quote: “Do you Influence your kids, or do you Impact your kids?” Awesome! Bob Williams, head coach at WV Tech and his assistant coach, Adam Williams (son of a great, great coach and a legend in WV as both a player and coach, Tex Williams) ended up the on-court work. Bob did an outstanding job of walking the coaches through the Tech “Swing Offense”. Coach Williams credited his former assistant, and another legendary WV HS Coach, Jim Fout as doing the research into Bo Ryan’s Swing and developing it for the Tech program. Adam, was superb taking us through the Tech philosophy and several drills regarding Skill Development. But, that was not the end – for those who chose to stay, Coach Price headed up a Coaches Round Table. He supplied several questions for coaches to help each other with that were outside the realm of X’s & Os’ - ranging from fund raising, to discipline, to creating opportunities for your players to be recruited, and much, much more. An absolutely incredible day – finally to quote Coach Randy Anderson, at the end of the day, we do this for the “Relationships & Memories”, it’s what makes this profession of coaching the best in the world. I am truly blessed to have re-kindled many great relationships, to have created several new ones, and to have made memories on Saturday, that will last a life-time! Coaching is the single most important part of expanding others’ capabilities. You’ve surely heard the saying, “Give a man a fish, and you’ll feed him for a day; teach a man how to fish, and you’ll feed him for a lifetime.” That’s coaching. It’s the difference between giving orders and teaching people how to get things done. Good leaders regard every encounter as an opportunity to coach. H.P. Liddon said, "What we do on some great occasions will probably depend upon what we already are, and what we are will be the result of previous years of self-discipline." I believe that with all of my heart. Discipline is doing what you really do not want to do, so you can do what you really want to do. What makes it hard is that in our own human nature, we do not want to do certain things, and so therefore, what happens is we have a tendency to be undisciplined in the areas that we do not care to do. George Bernard Shaw said, "Few people think more than two or three times a year. I have made an international reputation for myself by thinking once or twice a week." While writing my newest book, the focus of the whole book was based on the idea that people who understand how to get to the top and stay there are people who think their way to the top. One of the major differences in this discipline of thinking is that people who think their way to the top have the ability to do what I call "sustained thinking." They have the ability to think on an issue for a long period of time, until that issue becomes clear on the decision that should be made. People who do not think their way to the top have the unwillingness of discipline to master sustained thinking. They will think about something for a while, and then they will get off it and go on to something else. 2. They can master us. I was playing golf the other day at East Lake Country Club, a great golf course here in Atlanta. It is known for being the links where Bobby Jones played. As you may or may not know, he is a legendary golfer who won a major tournament at twenty-one. 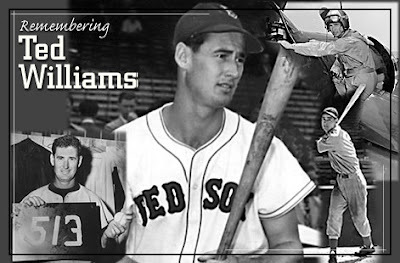 By age twenty-eight, he had already won the grand slam and retired. Jones had an uncle who said that by the time he was fourteen, Bobby was probably already the best golfer in the world. He certainly was popular. However, Jones was also known for his temper because he would throw his clubs when he got irritated. Jones' uncle sat down with him and said, "Bobby, your problem is you've mastered the game of golf, but you haven't mastered your emotions; and until you master your emotions, you'll never be a champion in golf." 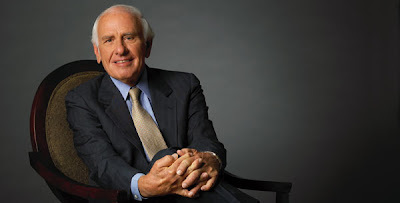 I call the two actions of initiating and closing the "bookends of success" because I really think they are. I know some who can initiate but they can never close; I know some people who can close but they can never get it cranked up. You have to kick-start them every time. When you can do both, initiate and close, you have the bookends to success. Allow me to leave you with this closing thought about developing discipline: You cannot give what you do not have, and self-improvement precedes team improvement. The only way that I can keep leading is to keep growing. The day I stop growing, somebody else takes the leadership baton. That is the way it always is. Eight years ago I went into the studio and recorded a 56-minute video for teenagers called "Three Keys to Greatness." Although my focus was for teenagers, the principles I shared certainly apply to adults as well. Recently I was asked to list these three keys using a couple sentences for each. Now for your benefit here they are again. I call it the view of the future. Most people, including kids, will pay the price if they can see the promise of the future. So we need to help our kids see a well-defined future, so they will be motivated to pay the price today to attain the rewards of tomorrow. Goals help them do this. Simply making consistent investments in our self-education and knowledge banks pays major dividends throughout our lives. I suggest having a minimum amount of time set aside for reading books, listening to audiocassettes, attending seminars, keeping a journal and spending time with other successful people. Charlie “Tremendous” Jones says you will be in five years the sum total of the books you read and the people you are around. I call it the 70/30 plan. After receiving your paycheck or paying yourself, set aside 10 percent for saving, 10 percent for investing and 10 percent for giving, and over time this will guarantee financial independence for a teenager. Coach Jim Boone: Putting together a staff is much like putting together a team. You will most likely not have a great deal of success if your team is comprised of all point guards (although we have had a few that I felt that if they comprised our entire team we would be tough to beat!) or if they are all centers – as players are not equal in abilities and talents, nor are coaches. Therefore, we must assemble a staff that can excel in each of our “Key Result” areas, and that compliments each other in reaching these goals. We are all about “Team” with our players, and as well, in developing our staff. If we want and expect Team Success, we must have Staff success. We don’t want individuals and egos, we want a “Staff”. Success comes in the satisfaction that we derive from knowing that we have all done our very, very best to be the greatest we can possibly be! We touched upon the following keys to staff and coach success in an earlier BLOG, but I believe they are important enough to mention once again. 1. Loyalty – we don’t want or do we need phonies, we need staff members that have the confidence in their abilities to speak out at the appropriate time, but thoroughly understand the importance and absolute demand of loyalty from our entire staff. 2. Work Ethic – again, if you want your dreams to come true, don’t sleep. 3. Knowledge – our coaches must have a passion to teach, but also a passion to learn. 4. Appearance – we are evaluated every minute of every day by our actions and our appearance, we are representing West Virginia Wesleyan, our program, and each other. In selecting a staff, I don’t want clones of myself, I don’t want yes men, I don’t want phonies. I do want coaches that embody the above attributes, that have a passion to learn and improve, that complement each other, and who believe in our “Mission”. I loved the quote that Doc Rivers, Boston Celtics Coach, used to the coaches at this summer’s Coaching U Live, regarding Team Success. Your team must have total “Buy-in” – to the Coach, the System, and the Mission. This is also true with your assistant coach staff. I am extremely excited about our coaching staff – it’s the youngest most energetic staff I have ever worked with, and I absolutely love it. Both Jimmy and Ryan have already begun to develop significant relationships with our players, and I attribute much of this to their youthful energy and ability to instantly relate to our guys. This has been awesome for me, they have helped me in so many ways as we work daily to build positive relationships with each of our players. Jimmy has a great understanding of how we are going to play and does a tremendous job of relaying this to our team – his four years as a player in our system coupled with his experience coaching last season will be invaluable to our program. Ryan will contribute in this way, but he has also brought with him an administrative skill set and maturity that he developed over the last two years serving as a graduate assistant at California University of Pennsylvania. Ryan will handle a great deal of the leg work dealing with our recruiting efforts, while Jimmy will be responsible for our strength and conditioning program – together they form a great team on the floor in teaching our players “The Bobcat Way”. As well, we are very fortunate to have BeJay Corley, a former Division I player, who completed his career on the court with Wesleyan last season. 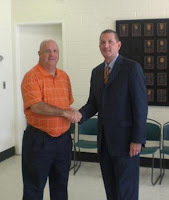 BeJay is not interested, at least at this time, in becoming a coach, as he completes his MBA at WVWC. But he has volunteered to assist our program and has simply been tremendous. BeJay has really helped me to gain a much better understanding of Wesleyan, our Athletic Department and our team – his contributions will be outstanding. As the head coach, I present to our staff a list of core responsibilities from which to review. I ask them to select two or three things they would really like to do, and a couple they would rather not. There are no promises, but I like to know what their thoughts are as I develop their assignments and responsibilities for the year. Ultimately it is my responsibility to put them into the positions that will best serve our team and program. We will then meet once again, to review the rough draft of this document, I want them to have input – after all, it’s their job! We will then have one last final meeting to outline specifically the details of each core responsibility and an estimate of how much time they should be devoting to this task relative to their entire job description. Everyone is present, I want our entire staff to understand the effort that each is putting in to our program’s success. This is something that I picked up years ago from Bill Walsh’s book, Finding the Winning Edge. One of the best “Program Building” books I have ever read, it has helped me immeasurably in my efforts to build successful programs and create our staff responsibilities and “Key Result” areas. This is going to be a great coaching staff, because, we are going to be a great team that compliments and respects each other, as we embark upon this “Mission” together! 10 MOST POWERFUL PHRASES: #7 "I NEED YOU"